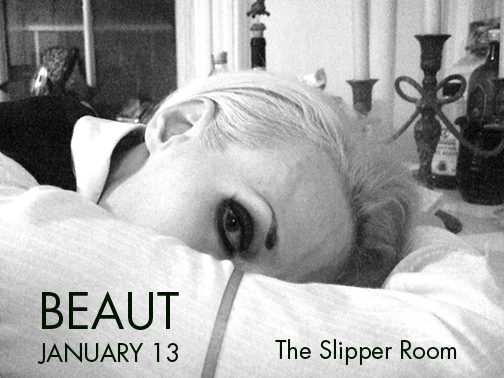 Beaut will be playing this Friday, December 5th, 2008, 7 pm at Juanita and Juan's, the fab new gallery / bookstore in Philadelphia! On the occasion of the installation and party for the Heartworm Press book WOUND by Mark McCoy. 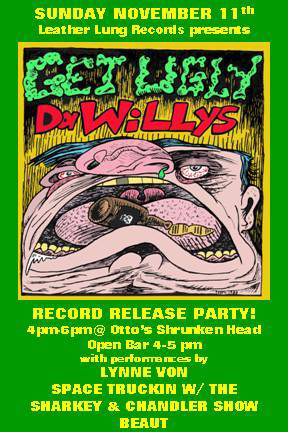 November 11th 2007-- OTTO'S SHRUNKEN HEAD --Leather Lung GET UGLY Record Bash!! Special early "hair of the dog" show. 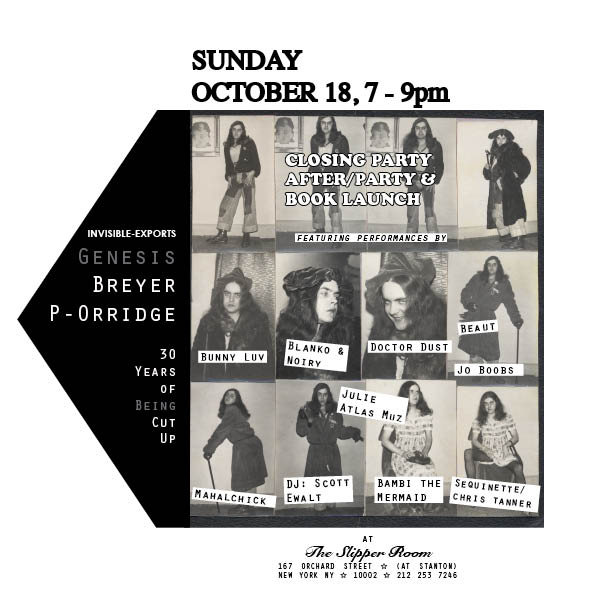 Open Bar from 4-5 pm, performances from 4-6 by Beaut, Lynne Von, Sharkey and Chandler. On the occasion of the newly unearthed and remastered "Da Willys" recordings.